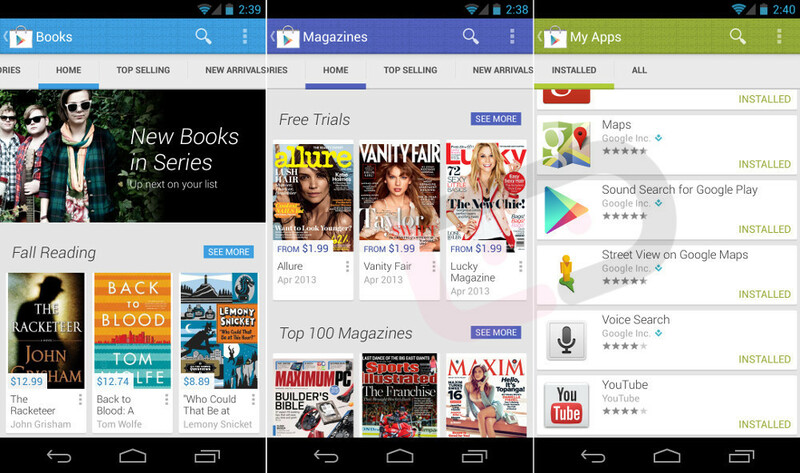 The Google Play store is an ever-evolving marketplace that has seen its fair share of changes throughout the last few years. It was once incredibly fussy and difficult to navigate while lacking features, but over time, has become much more polished with an image-heavy layout that has likely helped Google push products from apps to magazines to movies and music. The last time we saw a major change was back in July of 2011, though. 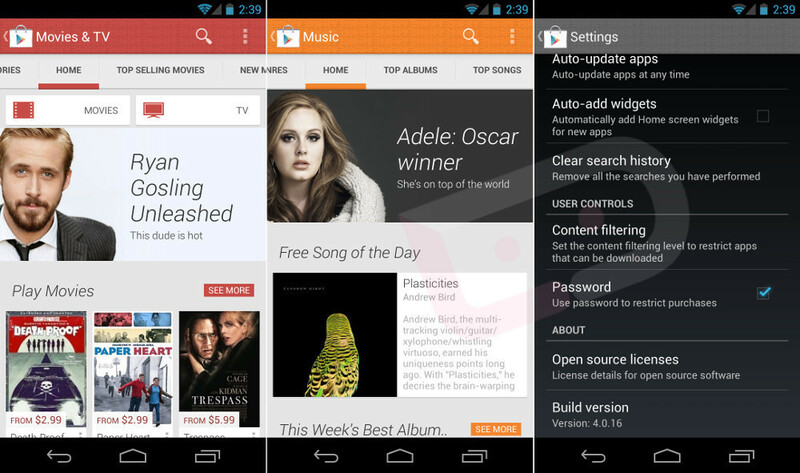 Since then, we have seen a number of tweaks to make it fit new design guidelines for Jelly Bean and Ice Cream Sandwich, but overall, it hasn’t changed all that much. 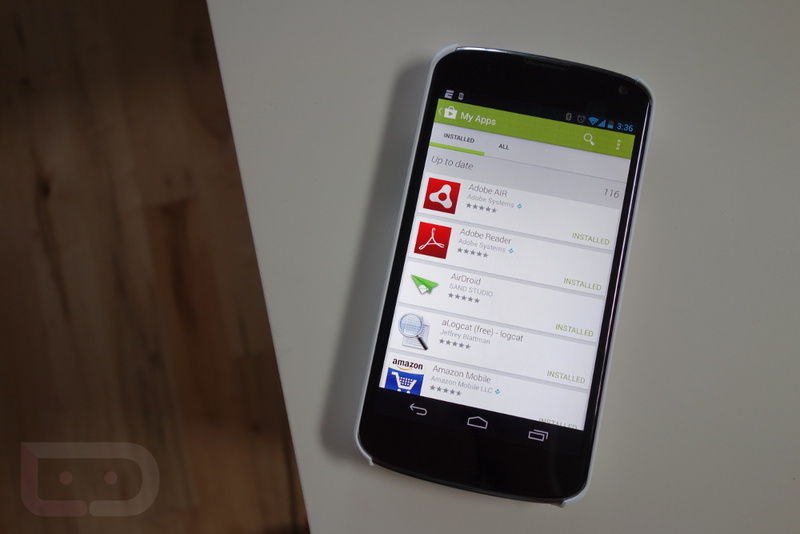 Today, I’m happy to show you Google Play 4.0, and the next big UI overhaul. As you can see from these screenshots, the entire thing has been redone from a UI perspective. It’s more Holo themed than ever, uses new fonts as category section titles, bigger images, and what I can only describe as a Google Now box-style item container. Individual pages for apps, movies, etc. are all filled with bigger images and a much cleaner design. The layouts of most pages, including search results, remain mostly the same, however, the eye candy is everywhere. Google is using text to separate sections, but then throws big beautiful images and color in your face to grab your attention. Gone is the dark box-styled home page – in is a much more minimal and clean, well, everything. There is no telling when we’ll see this new version of 4.0.16. As the video indicates, most of the new pages are not live at this time. We’ll keep an eye on it over the next few weeks and hope that we start to see some movement, which in turn should mean that the mass rollout to everyone will happen. Also, as I dig through it, I’ll be sure to update you with any new features that I stumble across. 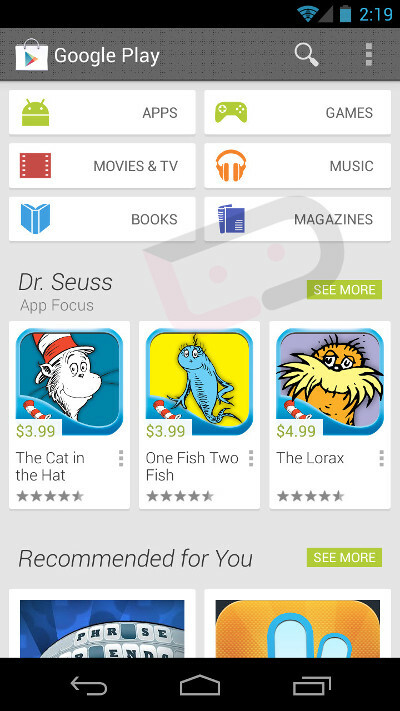 In the mean time, what do you guys think of the new Google Play? Question of the Day: How Do You Find Your Daily News?